WWE SmackDown & 205 Live Previews - Kurt Angle In Action, Becky Lynch, What's Next For The New Day - Wrestling Inc.
Tonight's WWE SmackDown and WWE 205 Live episodes will take place from the Mohegan Sun Arena in Uncasville, CT as the Road to WrestleMania 35 continues. 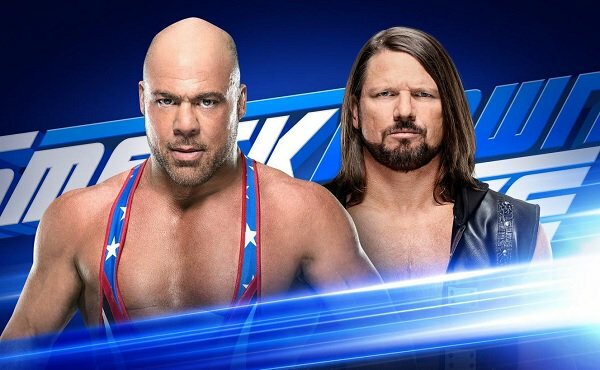 SmackDown will feature WWE Hall of Famer Kurt Angle vs. AJ Styles plus a Fatal 4 Way to determine the WrestleMania 35 opponent for SmackDown Women's Champion Asuka with Mandy Rose vs. Naomi vs. Carmella vs. Sonya Deville. 205 Live will feature a big six-man match with The Lucha House Party vs. Humberto Carrillo, Jack Gallagher and Drew Gulak. * What's next for Lynch and Flair after an eventful Raw?